We are just days away from the big game, and if you're like me, food is the priority. Calories don't count on Super Bowl Sunday, right? It's a good excuse to sample a lot of delicious appetizers that you might not normally make. I've rounded up a few that look amazing from some of my favorite food blogs. What are some of your favorite appetizers to make for Super Bowl Sunday? 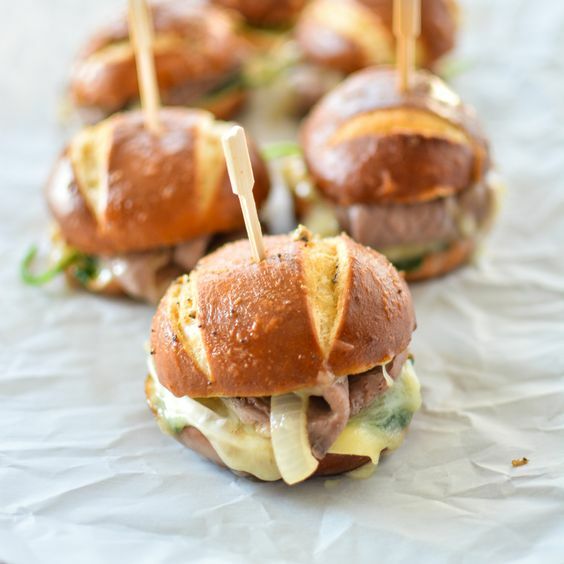 Baked Roast Beef and Brie Sliders with Caramelized Onions- I think I posted about these last year, so apparently they are still on my mind. I guess I need to make them soon! 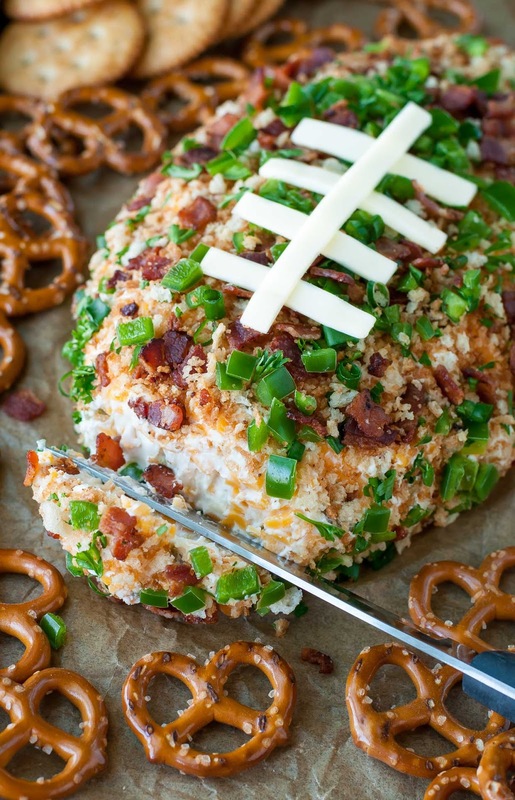 Jalapeño Popper Football Cheese Ball- At least one appetizer in the shape of a football is a must. 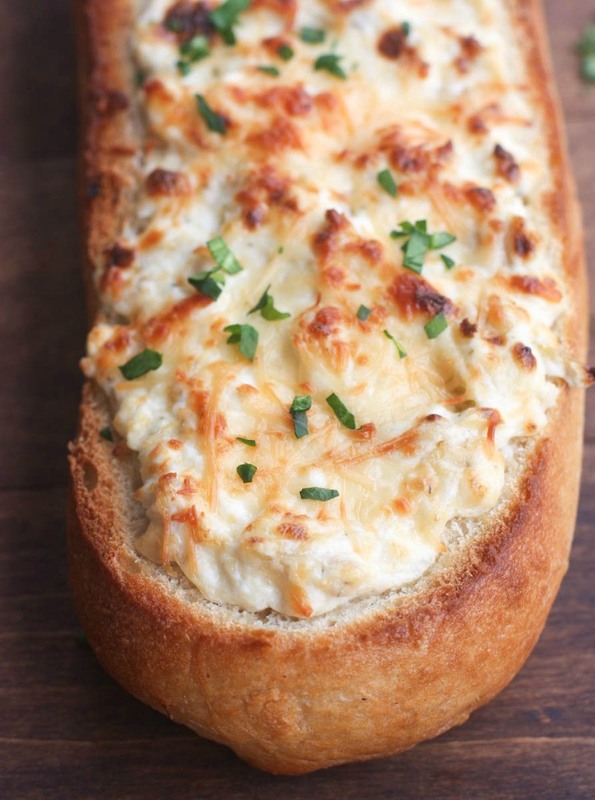 Artichoke Dip Stuffed Bread- Artichoke dip is one of my favorites..serving it out of bread takes it to another level. 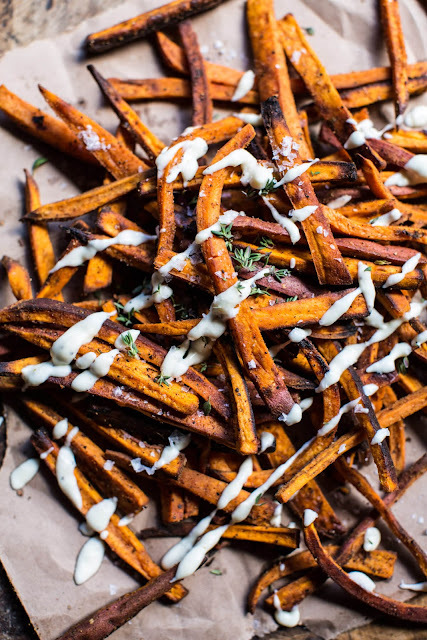 Skinny Cajun Sweet Potato Fries with Garlic Cheese Sauce- Garlic cheese sauce is always a good idea. 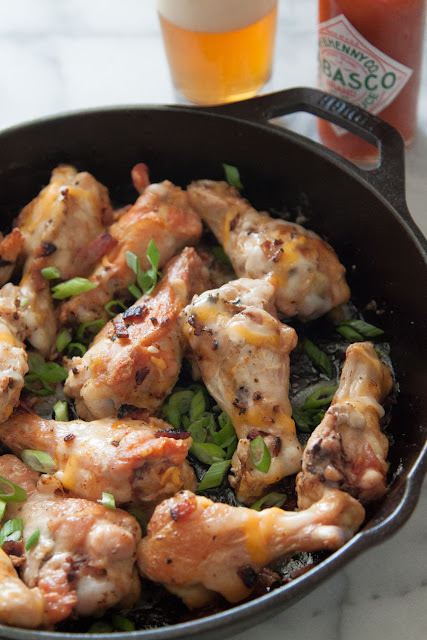 Spicy Bacon and Cheddar Wings- No super bowl party is complete without wings and I thought these sounded amazing. 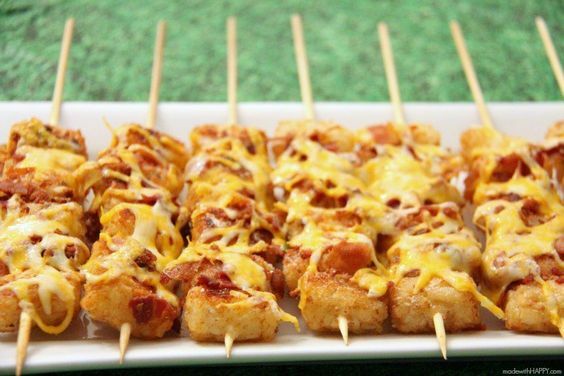 Loaded Tater Tot Skewers- I love the idea of putting the tater tots on a skewer so your hands won't get as messy. 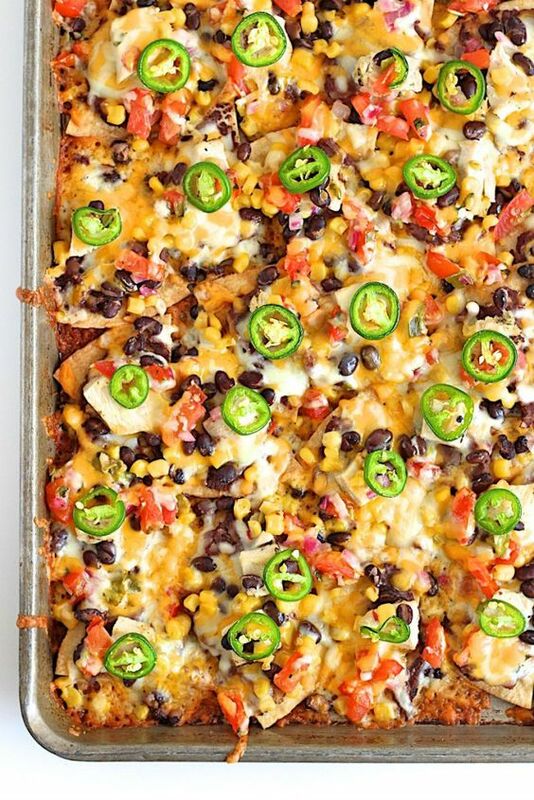 Sheet Pan Chicken and Black Bean Nachos- Nachos are always a crowd pleaser and these looks amazing. 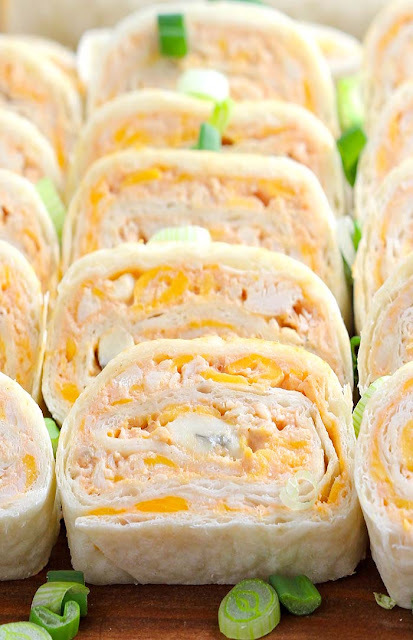 Buffalo Chicken Tortilla Roll Ups- I love this spin on the classic buffalo chicken dip. 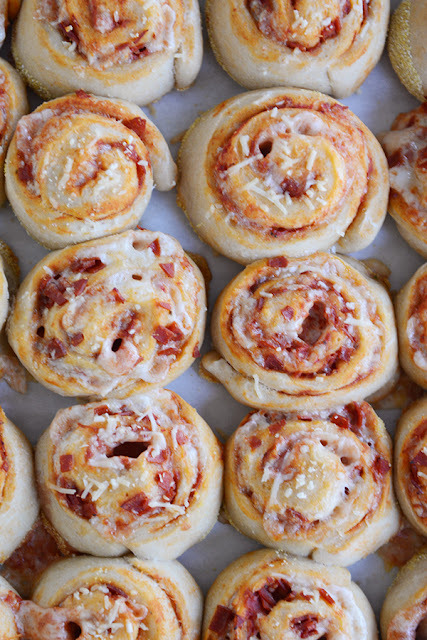 Homemade Pepperoni Pizza Rolls- A fun way to enjoy a taste of pizza without ordering a pie! Asparagus Rolls Ups- Because you have to squeeze some veggies in there somewhere. Check out my Pinterest board for more Super Bowl Snack recipes! Oh and I thought this was a fun game to play. 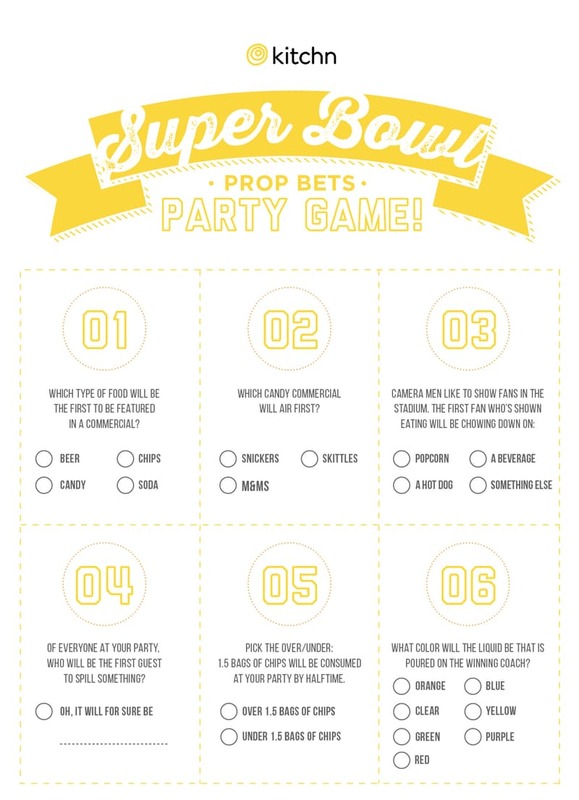 You know, something for those that are more interested in the food and commercials than the actual game. Download the the PDF here. That cheese ball is brilliant! I'm such a fan of sweet potato fries too, i'd say they go well with that cheese too! Yes, the checklist game sounded like a fun idea! Wow all of these look amaaaazing. My crew would go crazy over those sliders and pizza rolls. Yum! You can't go wrong with sliders and pizza rolls! Loving all these ideas!! Bookmarking for future reference! !